A microwave oven cooks food by producing energy waves that excite water molecules and warm the food from the inside out. Their appeal lies in the speed in which they cook foods, which is much faster than a conventional oven, and in the fact that they do not emit heat into the kitchen. 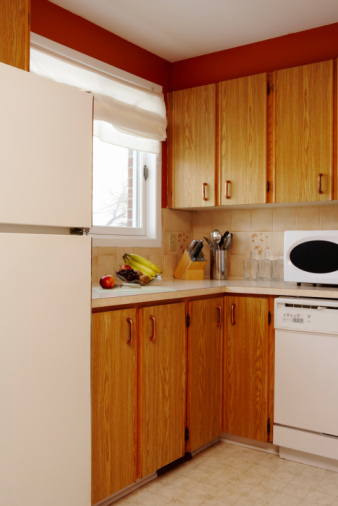 Microwaves are also a safer option since they do not have any open flames or hot surfaces. However, a microwave can still overheat unless it has special safety features to prevent it, typically in the form of an automatic shut-off. Automatic shut-off controls turn off the microwave's heating element when the temperature of the microwave source gets too high. This is done to protect the microwave itself, preventing overheating that can lead to mechanical or electrical failure. If the microwave source reaches a specified temperature, it will shut down. However, features such as the timer and clock should still operate, which would not be the case if the microwave shut down due to a lack of electrical power. Even with an automatic shut-off feature, a microwave can still overheat food. The heat from boiling water or a heated food item is contained within the microwave box, and that's not part what the temperature sensor detects in order to trigger an automatic shut off. This means that you always need to be aware of the heat settings on your microwave and handle food with care, especially if it has been cooking in the microwave for an extended period of time. All microwaves include fans, which cool the microwave source as it emits waves to cook food. This produces the sound that you hear when the microwave runs. If the fan fails, the microwave may not be able to run, since it would quickly overheat if it did. In other cases, the fan may work but the sensors that detect rising levels of heat may fail, allowing the microwave to run regardless of the temperature it reaches. Automatic shut-off for overheating is one of many options you should consider when shopping for a microwave. Automatic shut-off can be found on microwaves meant for professional and household use, though it is most likely to appear in top-of-the-line models. Damage to the microwave from overheating is likely to be covered by the machine's warranty, regardless of whether it comes equipped with an automatic shut-off. Check warranty terms before buying and decide which features are most important to you.